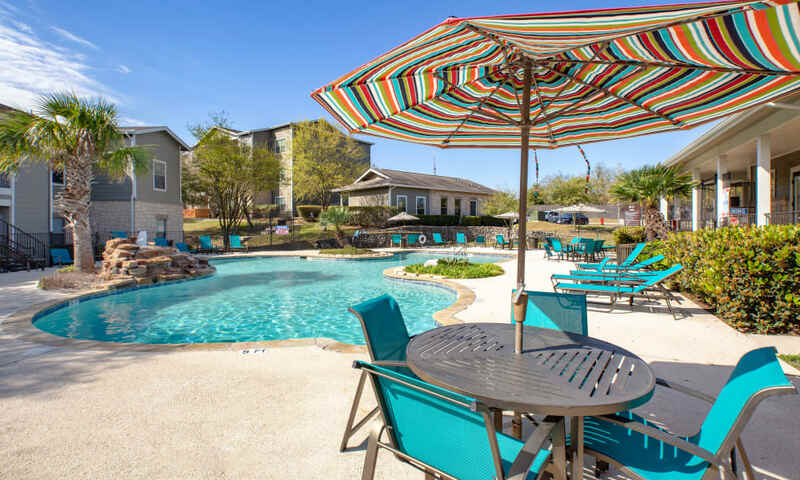 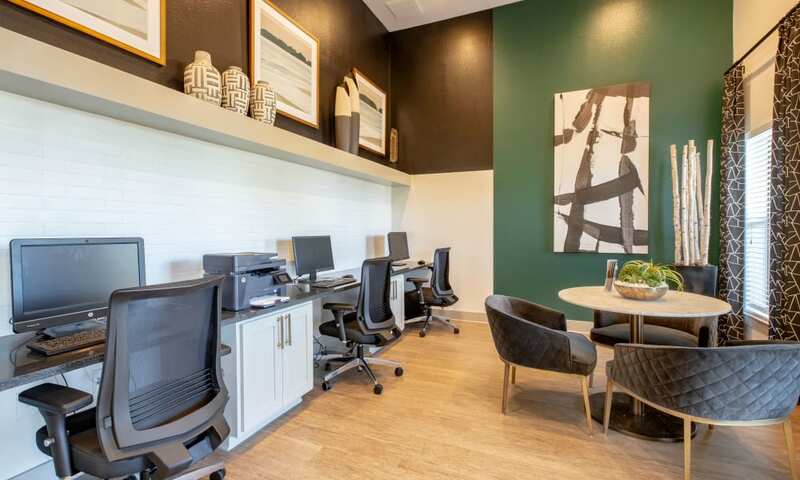 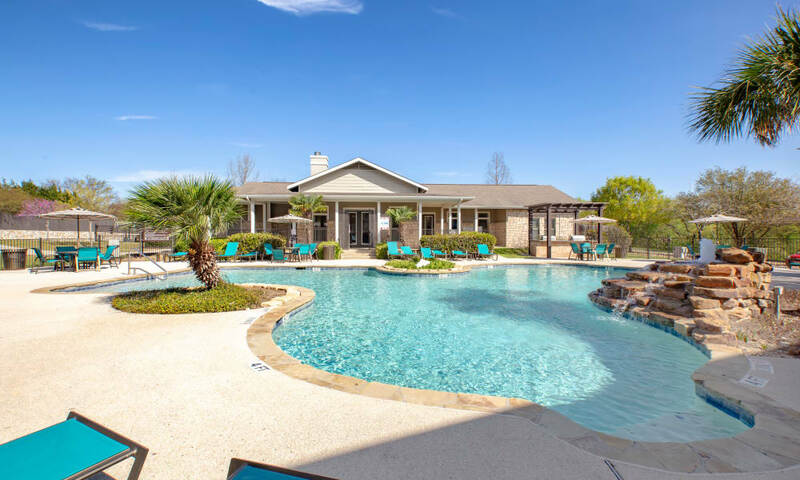 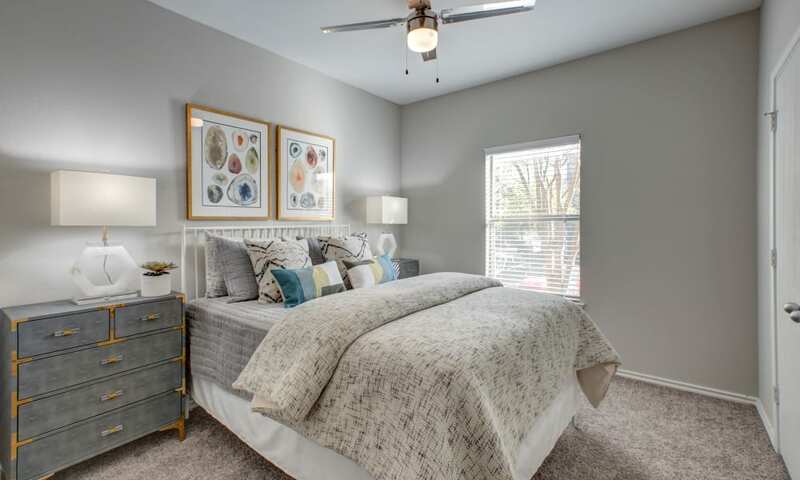 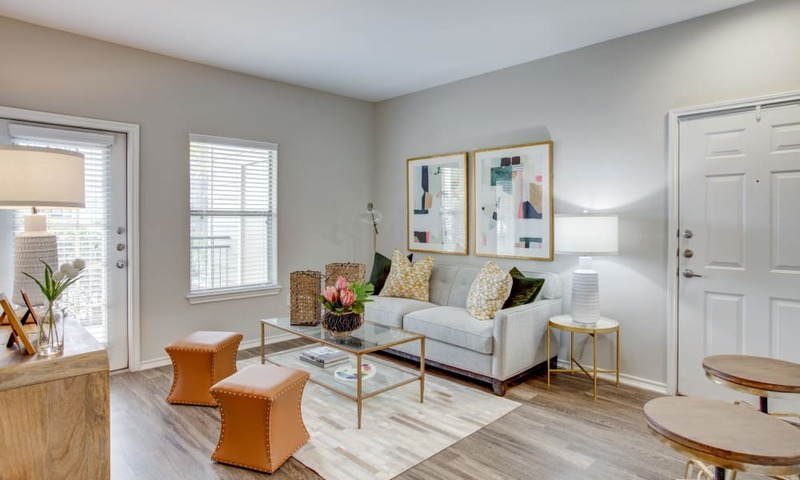 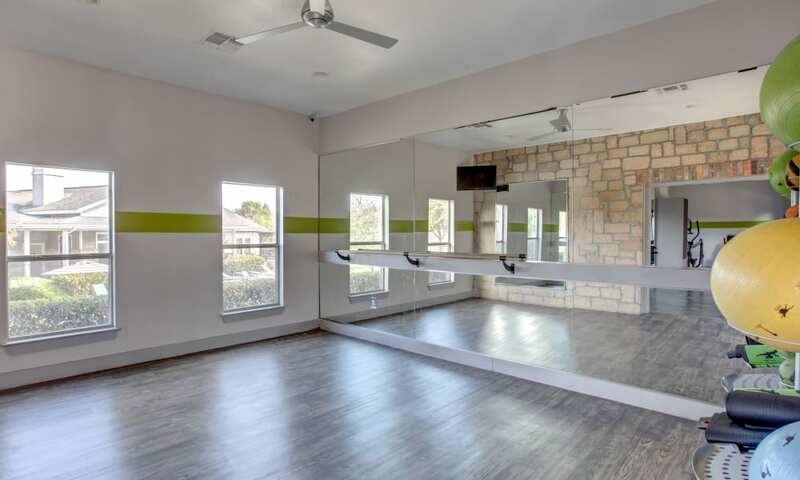 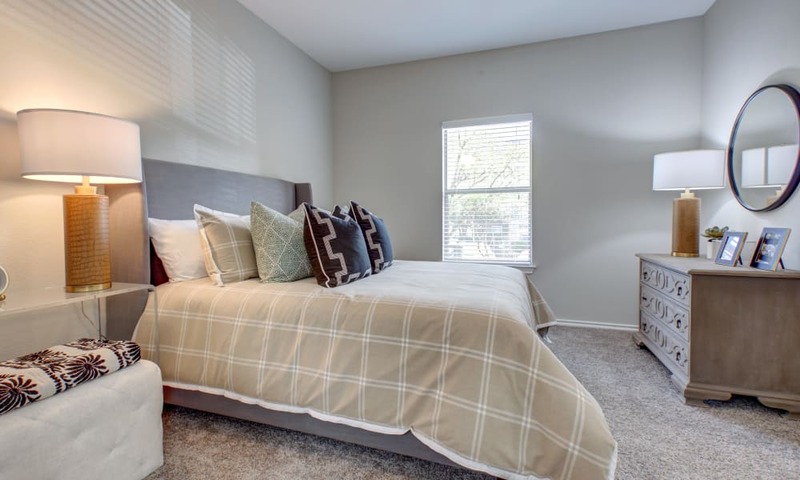 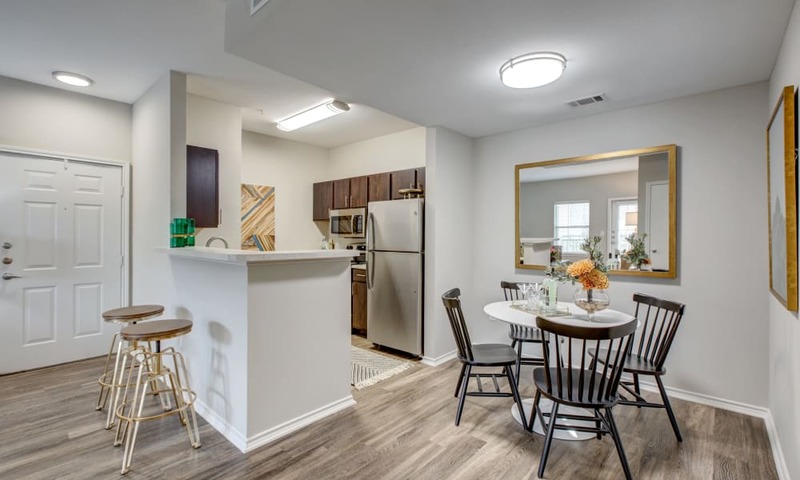 At Arya Grove, you will find a life of modern luxury in our one, two, or three bedroom apartments in Universal City, TX. 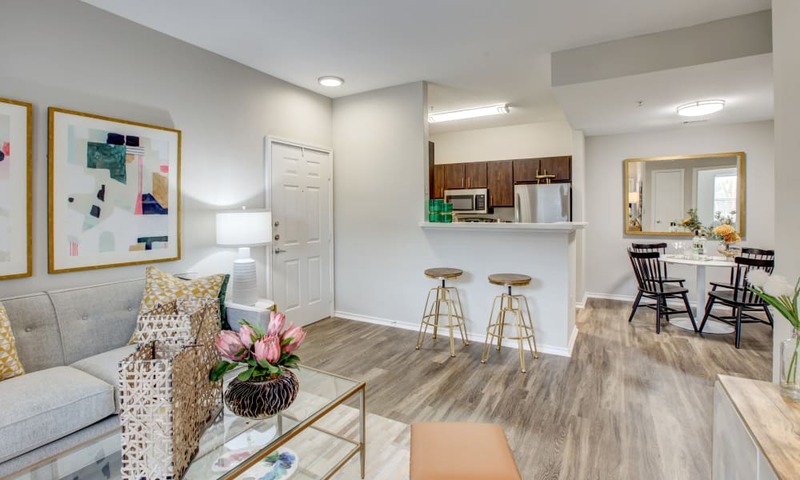 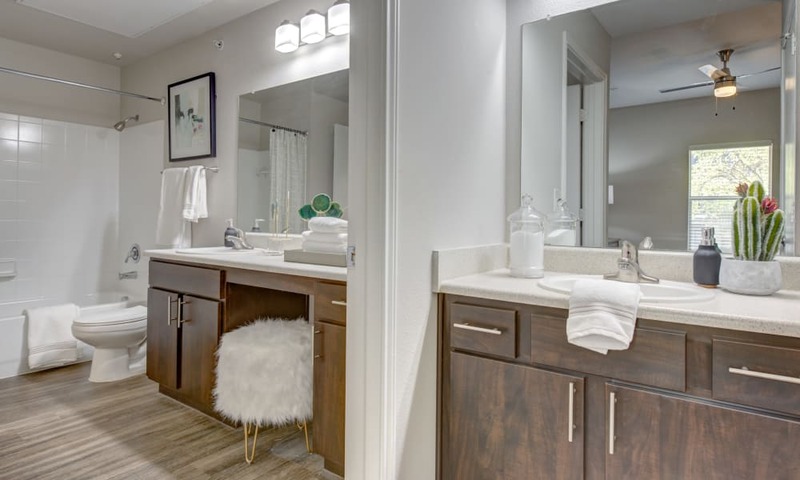 Each of our pet-friendly apartments features shiny wood-style floors to go with your favorite area rug and two-tone paint to jazz up the space. 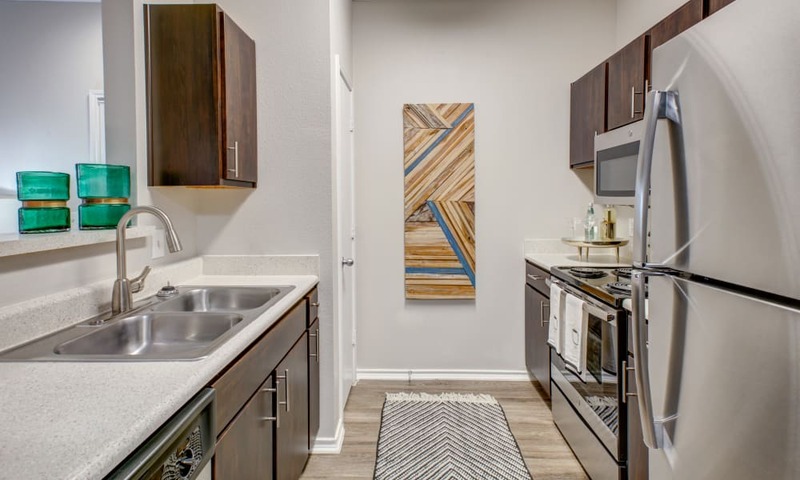 The kitchen is equipped with white appliances and cabinets to complement your personal style, while the open layout provides a great communal space. 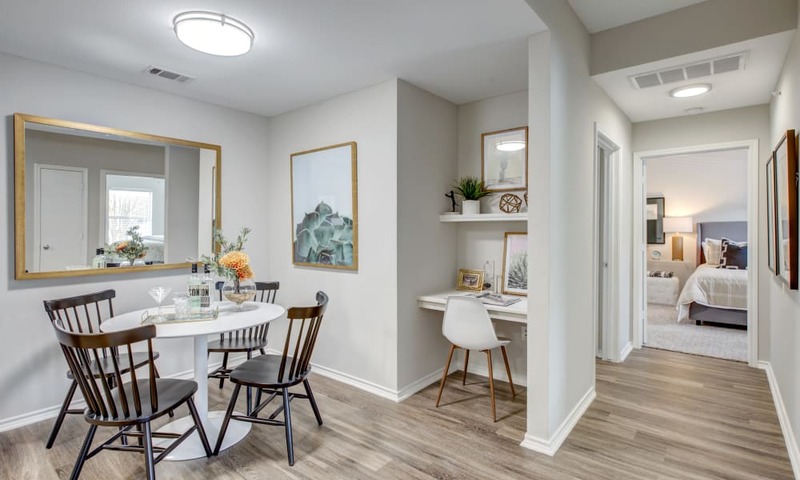 Picture your new life at Arya Grove. 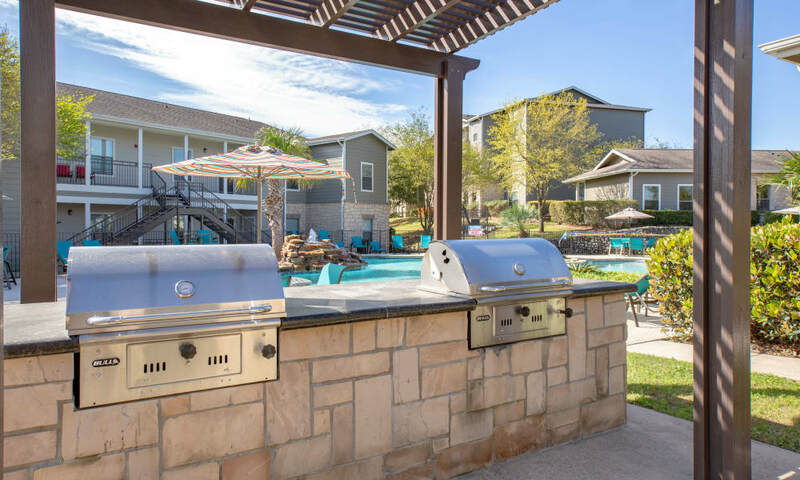 Life is pretty great at Arya Grove with so much to do outside your door. 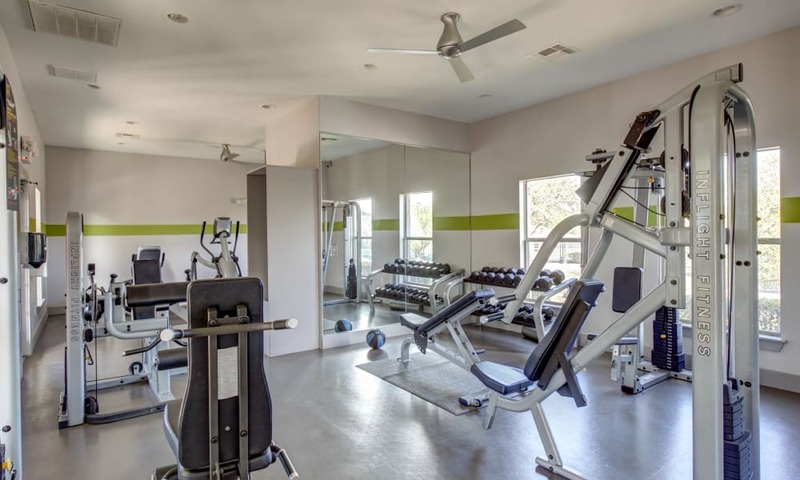 Spend your mornings relaxing by the outdoor swimming pool or enjoy a workout in the onsite fitness center. 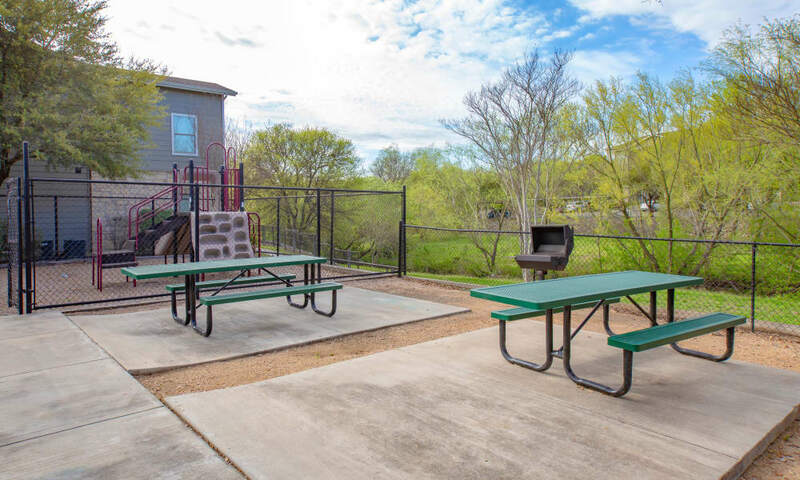 The grilling and picnic area is great for hanging out on sunny days. 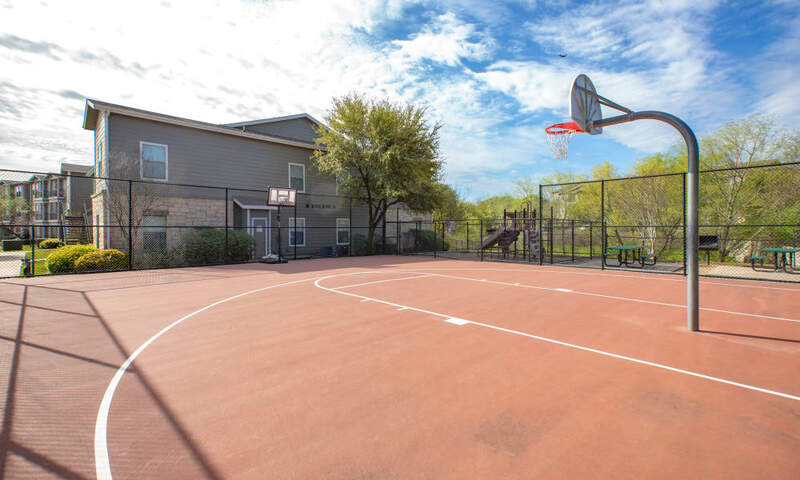 Punctuate the perfect day with a trip to the playground or basketball court. 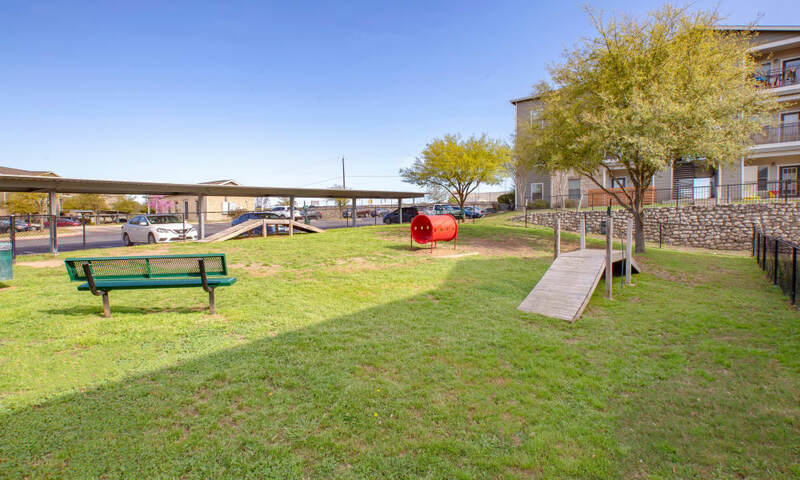 We even have an onsite dog park where your dog can make some friends and burn off some energy. 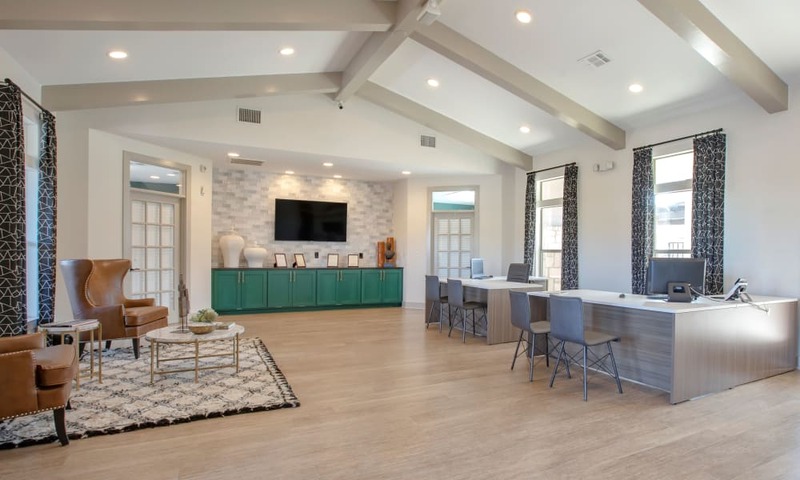 In need of a little socializing yourself? 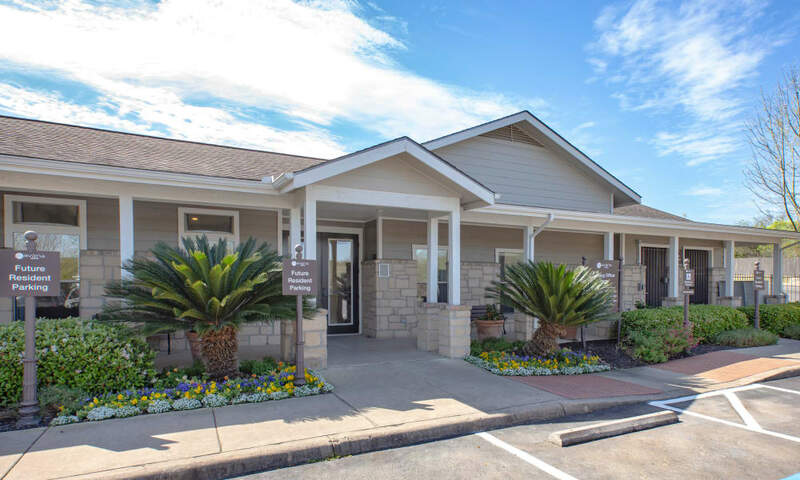 Visit our clubhouse and chat with friends over a fresh cup of coffee. 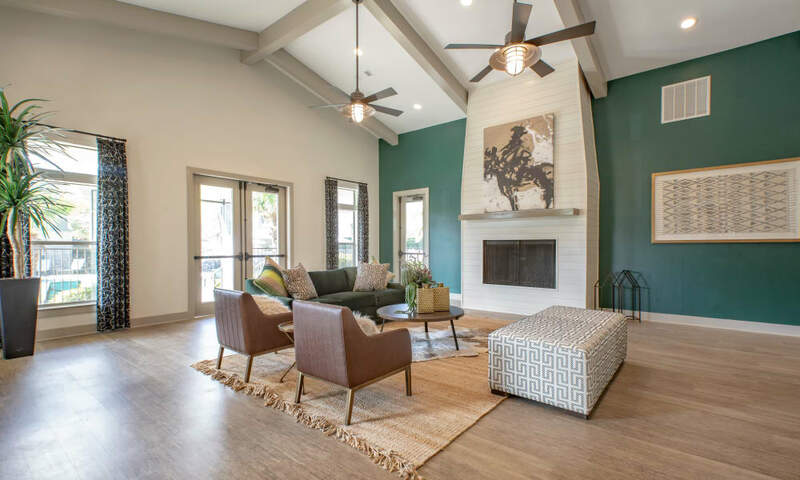 Schedule a personalized tour of our community at Arya Grove today and start imagining the possibilities.